Disclaimer: The Shinola Canfield Over Ear headphones have been supplied by the manufacturer for this review. Shinola is not affiliated to Headfonia in any way and is not a sponsor of this site. Many thanks for the opportunity. Shinola is a Detroid based manufacturer of watches and lifestyle gear. The produce a wide range of different products and have recently stepped into the audio world with their Runwell turntable. Their audio branche is headed by Alex Rosson. This name might ring a bell for some people in our part of the audio lands, as Alex Rosson was formerly the CEO of Audeze. He is directly responsible for the famous LCD series. It only makes sense that he has lead Shinola to release their first headphones to the audiophile community. As far as I know most, if not all, their products are manufactured in the USA. They put high value and focus on the design of their products, and it is no surprise the Canfield oozes of style. 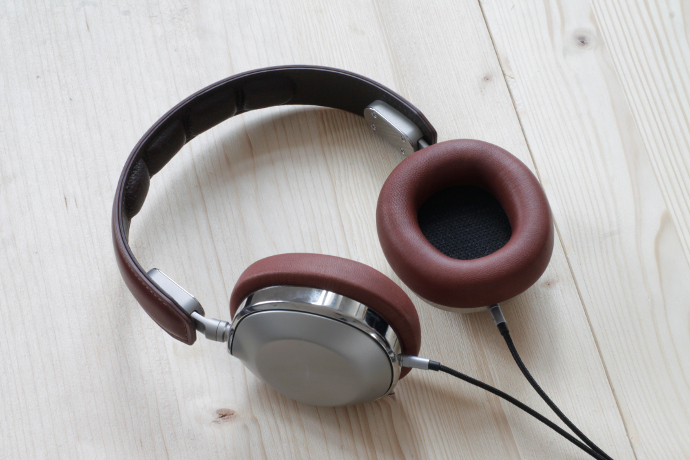 The Canfield Over Ear is one of two headphones under the Shinola name, the other being the On Ear counterpart. The headphones themselves are characterized as fully closed back circumaural headphones with a dynamic driver. This driver is 50 Millimetres in size, whereas the On Ear has a smaller driver (40 mm). With a rated impedance of 41 Ohms and an efficiency of 115 Decibels SPL @ 1 kHz, the Over Ear is an easy to drive headphone that should not have any problem being fed by a smartphone. In fact, the supplied 3.5 mm cable also has an inline remote and a microphone built-in. This implies it is perfectly suitable to be used as a headset on the go. Shinola states that the frequency response of the Canfield goes from 20 Hertz all the way up to 24 Kilohertz. The Shinola Canfield Over Ear can be yours for 450$ and comes in different colour variations. My sample is the silver and cognac mix. You can also get it in black and silver or shiny black. The Canfield comes in a very luxurious and nice packaging, that certainly reflects its pricepoint. The box is covered by a slip-over canvas that shows the headphones in the middle and a small notification in the bottom left corner which tells you that it is made for the iProducts by Apple. I assume this means the in-line remote commands are set for iPhones etc, I did not try out if they also work with Android. Get rid of the canvas and you will be looking at the box in which the headphones are safely stored. Once that box is opened you’re greeted by a soft-shell protection and carrying case. Under this case there’s the warranty card, a short instructions-booklet and a silica gel pillow to keep your new toys humidity-free. Of course also supplied in the package are the headphones themselves, a mini-jack terminated cable, a 6.35 mm adapter and a cable pouch that moonlights as a polishing cloth. 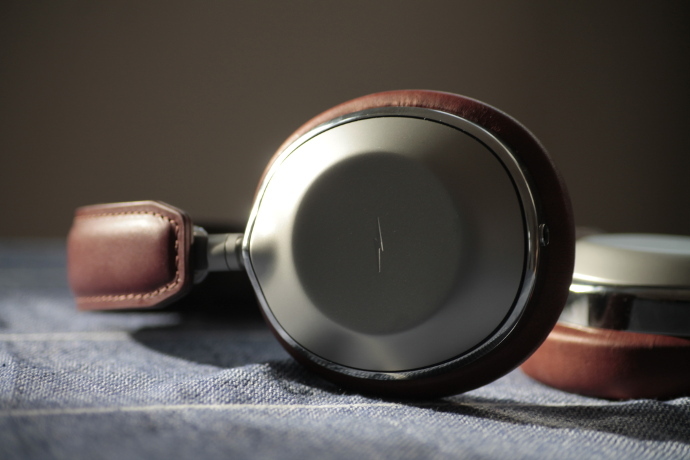 One thing that I could not get out of my head when seeing the Canfield headphones was that they, to me at least, strongly resemble another pair of headphones that has made waves for its design and seems to be very popular for new audiophiles. I still think they very much look like the Beoplay headphones. Don’t take that as bad criticism, they look fabulous in my opinion. When I first had the Canfield Over Ear in my hands I was impressed by the high quality and great craftsmanship these seem to carry. 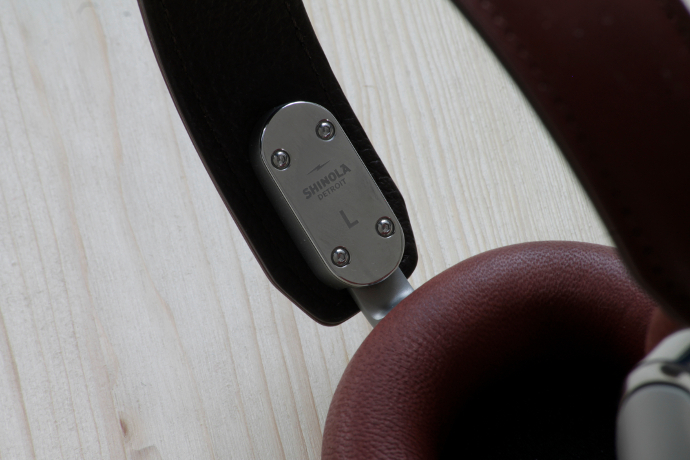 The earcups are made of aluminium and have Shinola’s logo centered on both sides. 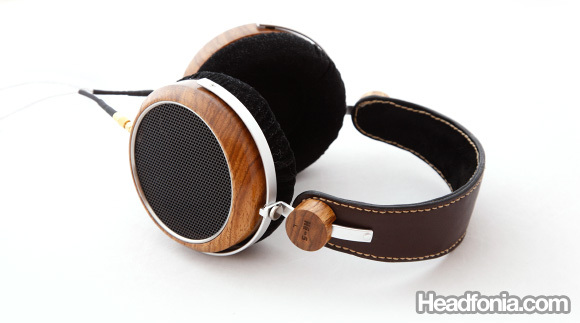 The complete headphone is built using top level materials. Leather and aluminium is what my eyes spot the most. The earcups can be adjusted in height by gliding up and down the slider. Unfortunately it seems this headphone is not built for the biggest heads out there, as the adjustment is rather limited. For my person that’s not a problem, but I imagine not everyone will be able to use these headphones. In my opinion that should be something for Shinola to consider changing. Each earcup also is able to pivot a quarter turn, this makes it easier to carry around in a bag. The supplied transportation case certainly is shaped to be used with the earcups tilted flat. The review continues on page 2! 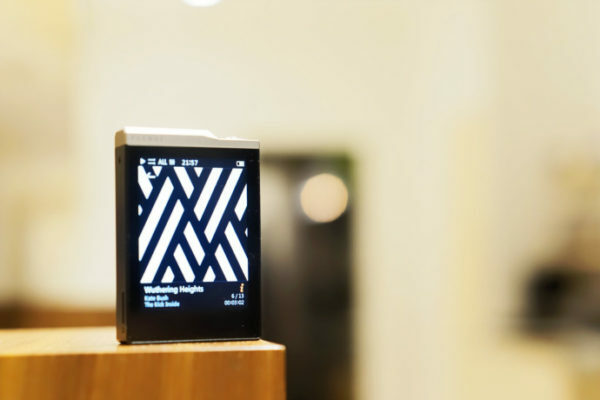 It seems from your description that the Canfield is tuned very similar to the AudioQuest NightHawk, the Sonus Faber Pryma, and to some extent the Focal Elear, etc. For a long time I’ve been thinking that this is going to move Sennheiser, Beyerdynamic, and a few others away from their more-or-less neutral tunings. That might be OK if the best recordings called for that tuning, and there were a switch on music players or DACs to compensate for the older recordings, but I don’t really know how that could work. And I wonder if this now-popular tuning for mid-priced to low-tier premium headphones has anything to do with the Loudness Wars, to compensate by reducing the impact of the upper vocal ranges. Very interesting thought and it could be very true. Listening to some chart music with bright and “foreward” sounding headphones can be very annoying. I ordered the Canfield On-Ear version today, and I’ll add a note here about my impressions of it compared to this review. I’m hoping the On-Ear is tuned more like the B&W P5, the B&O H6, or even the Master&Dynamic MH30. Impression of Canfield On-Ear: Weak lower bass, slightly weak upper bass, slight emphasis in mid-mids, recess in upper mids/lower treble, steep rolloff above 8 khz. The overall effect is a slightly hollow mids-oriented sound with very little upper treble sparkle or harmonic detail. Still, fine for non-critical portable use, since the “loudness” emphasis in modern recordings is somewhat alleviated here. On the downside for portable use, there is very little isolation. On the upside for critical listening, the sound when EQ’d properly is quite good, with no apparent graininess or other irritations. Oh – and the cosmetics as well as build quality are amazing. Do you have an eq graph on what you’re changing? These phones need a better cable. It’s causing the phones to sound congested in the treble, which makes the have a bass hue or tint to the sound similar to Beats by Dre over the ear 1st edition headphones. After I upgraded the cable to a Neotech 8 Core 19AWG UPOCC cable. The sound is more balanced, without the hue and can be used with rock music now which was impossible before. Its audiophile worthy. Thanks for the comment. I thought so, thanks for confirming. Unfortunately I don’t have a cable that would fit the Canfield’s connectors. I have the Canfield on-ear, and while the cable per se is OK, it gets partly or completely disconnected very easily. So I always check it before use now, to make sure the plugs are fully inserted into the jacks. In some ways, that’s not as bad as the Sennheiser 5xx and 6xx series, since those would micro-corrode inside the jacks over many months and very gradually lose connection. In the Sennheiser case, when the lost connectivity became obvious, I’d be asking myself whether I’d been listening to a compromised signal for the past month.